The difference between reality and imagination in everyday life is explored the new book, Figments of My Reality, an anthology of 145 poems by Elias Tobias. Elias Tobias is the pen name of Michael D. Hall started to use in the early 1990s. His first works were published in junior high school. This interest in writing led to a career in photojournalism and education, teaching Secondary English. Throughout college and the different jobs that supported him, writing was and continues to be a constant factor in his life. In 1998, he started the web blog, The World of Words by Elias Tobias, (http://eliastobias.net) which has been an alternate venue for his poetry, photography and other related articles and videos. More background information about the author can be found on the poetry blog. 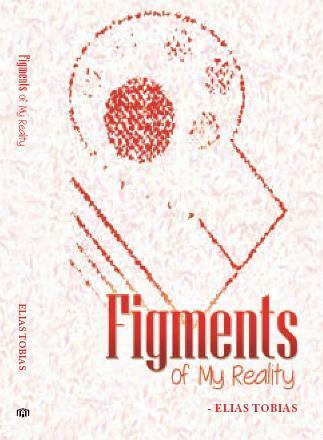 Figments of My Reality, is published by Bloomington-based AuthorHouse, Inc. It can be ordered through the AuthorHouse bookstore website at http://www.authorhouse.com or through online stores. Also buyers can go to the AuthorHouse Book Order Hotline, at 1-888-280-7715, or through a page at the World of Words by Elias Tobias by going to http://eliastobias.net/?page_id=2265. Also an authors page has been established at Amazon at http://www.amazon.com/Elias-Tobias/e/B00EAYGE3O. 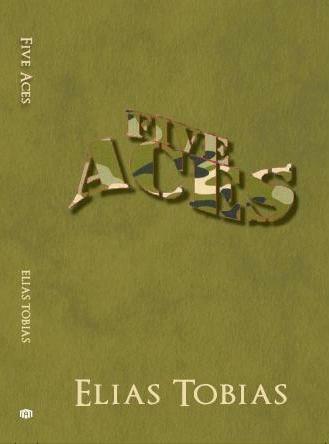 Five Aces, by Elias Tobias, is an attempt to rescue an all male military academy from financial despair by one of the alumni turns deadly as a murder mystery centers on the reunion of five cadets at the academy. This is the author's second published book. The first is a poetry anthology, Figments of My Reality. Elias Tobias is the pen name of Michael D. Hall that he started to use in the early 1990s. His first works were published in junior high school. This interest in writing led to a career in photojournalism and education, teaching Secondary English. Throughout college and the different jobs that supported him, writing was and continues to be a constant factor in his life. In 1998, he started the web blog, The World of Words by Elias Tobias, (http://eliastobias.net) which has been an alternate venue for his poetry and photography and other related articles and videos. More information about the author can be found on the poetry blog. Five Aces, is available in soft cover format by Bloomington-based AuthorHouse, Inc. It can be ordered through the AuthorHouse bookstore website at http://www.authorhouse.com or through online stores. Also buyers can go to the AuthorHouse Book Order Hotline, at 1-888-280-7715, or through a page at the World of Words by Elias Tobias by going to http://eliastobias.net/?page_id=2265. The Kindle e-book edition is available on line and also an authors page has been established at Amazon at http://www.amazon.com/Elias-Tobias/e/B00EAYGE3O. Contents of this website copyright 2017 by Michael D. Hall/World of Words by Elias Tobias.